History of the department has begun in 1930, when at our university, previously named Kharkov Mechanical-machine-building Institute, a new physical-mechanics faculty has been organized, which consisted of following specialties: physics, physics of dielectrics, mechanics, technical mechanics, solid body structure. These specialties trained the specialists of fundamentally new type synthesizing the deep physical and mathematical preparation and skills of the practical engineer. Nowadays this system of specialist training is known all over the world as system “phys-tech”. Founders of the faculty were following outstanding scientists: academicians Ioffe A.F., Obreimov I.V., Sinelnikov K.D., Valter A.K., professors Babakov I.M., Blokh V.I. During all these years the department was managed by corr.-member of AS USSR Majzel V.M. (1936-1941), acad. of AS USSR Filippov A.P. (1948-1960), Prof., Dr.Tech.Sci., laureate of Ukrainian state award Bogomolov S.I. (1960-1991). 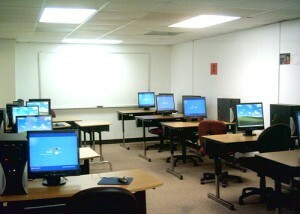 Since 1992 till present time the department is managed by Prof., Dr.Tech.Sci., acad. of NAS of the higher school of Ukraine – Lvov G.I. As eighty-years experience has shown, the idea of such training of specialists has proved to be rather fruitful. Today it is also confirmed by the practical experience of Moscow Institute of Physics and Technology and Moscow Engineering Physics Institute. Widely known scientific school on dynamics and strength of machines, established at our university, gives to students great possibilities to prove themselves in the scientific sphere. Here a student, working side by side with scientists, finds fundamental knowledge, which will allow him/her to solve problems of almost any fields of a science and technics. It gives the chance to our specialists to feel confidently in promptly changing world of new technics, to be the true developers on any workplace. Especially valuable due to today’s requirements feature of our graduates is that they perfectly acquainted with information technologies, operations on the modern computers, skills to develop algorithms of any complex processes and perfectly develop coding and operate CAD/CAE systems. Our department one of the first among universities of USSR first yet in the late fifties introduced computer technics and programming methods into education of students and scientific investigations. Our graduates successfully work as scientists, programmers, engineers and businessmen in many countries all over the world – Bulgaria, Hungary, Vietnam, Germany, Israel, Canada, China, Poland, Russia, USA. beginning of the joint scientific and research works between the departments DSM and SBM of Magdeburg technical University (Germany) under financial support of foundation DAAD (German Academic Exchange Service) – 1993. Prof. Zhovdak V.O. — on prediction of reliability of structural elements at random oscillations.